300/500 V 70˚C 2/3/4/5 CORES - LIGHT POLYVINYL CHLORIDE SHEATHED CABLE for sale – Armoured Power Cable manufacturer from china (109213036). For installation in raceway and shall be protected water into raceway. Laid on cable trays/Cable ladder. Packing Material: Coil (for small size & short length), wooden drum, iron-wooden drum, steel drum. Shipping: Loading port from Qingdao or Shanghai ,12-24 hours from factory to sea port. 10+ years experience of export business. Flexible business model, rich customer groups. Wide range of cable products, rich resources in local market. Australia , Bangladesh, Canada, Chile, Cote D’ivoire, Congo, Dominican, Ecuador, Gambia, Ghana, Guinea, Guyana, Indonesia, Haiti, Iran, Kenya, Lraq, India, Malawi, Malaysia, Myanmar, Nigeria, Nepal. Peru, Philippines, Paraguay, Panama, Pakistan, Rwanda, Saudi Arab, South Africa, Sudan, Trinidad Tobago, Togo, Turkey, Uganda, US, UAE, UK, Uruguay, Yemen, Zimbabwe, Zambia. 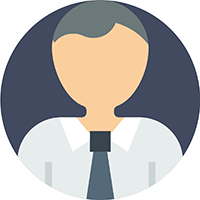 Provide project support such as tender assistant, cooperate visit customers, FAT support. Complete quality system and docs available, faster lead time, good quality, Strong technical support, free samples. 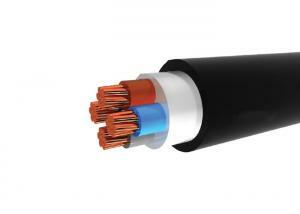 A: We are cable manufacturer with 15 years production experience and more than 10 years export experience. Q2: What`s your export business type / customer groups? A: Our business includes: Retail, wholesale, government project supply, private engineering supply, international bidding, customer requirements production, OEM , etc. And our customers are : Retailers, Wholesalers, Electric Power Companies, Oil companies, EPC companies, Electrical equipment manufacturers, Factories, Agents, Brokers , etc. No matter which field you are in , if you need cables , just contact us ! Q3: I do not know how to choose what I need. / I have not found the cable type and size I need on this page. A: Please do not worry. 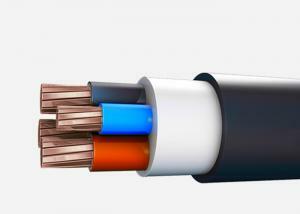 Contact us and send us your requirements, we will help you to choose correct cable you need. 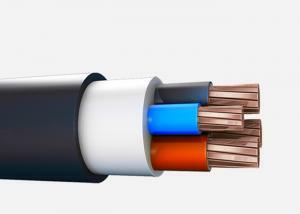 If you have below information is better: Cable voltage, conductor material, Insulation and Outer sheath material, armor type. 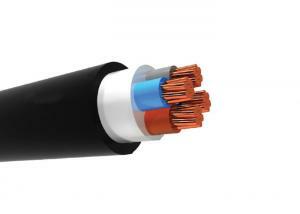 Otherwise you can provide us the cable installation environment, application requirements, etc. Q4: When can I get the price ? A: Normally you can get our feedback within 24 hours upon we get your inquiries. As soon as necessary product information is confirmed, our quotation will reach you within 24 hours. For large project and multi-items more than 50 items, we need 3-5 days more. Q5: What’s your MOQ?/ How long is your delivery time? A: MOQ & Delivery time both according to different product, product size, production construction. Welcome to contact us for further communication. Anyway, we will try our best to support you! Q6: What’s your trade term and payment term? A: Mostly used trade term is EXW, FOB , CFR/CNF, CIF. Payment term varies from different contract value and commercial clauses. Normally 30% TT advance payment is required, the balance payment by TT / LC . Q7: What`s your quality guarantee and period. A: We guarantee that all of our products are free from defects. We will take back any product that does not meet the agreed quality by both parties. Usually the guarantee period is 18 months after shipment and 12 months after installation, which is earlier . Q8: Does your price include destination custom clearance , import tax , installation service ? A: Sorry, currently we only supply cables and provide shipping service in China. Other services should be re-quoted and negotiated by both parties.